The common parlance has it that where there is authorized products, there is copycat, or pirated clone products and where there is chic iPhone, there is Fashionable HiPhone. Yep, needless to say, for an iPhone-knock off, the HiPhone is pretty decent. 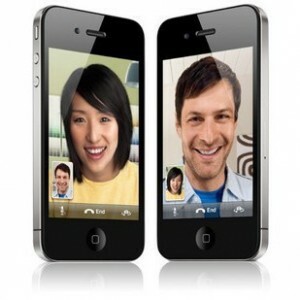 But there are voices that Hiphone has the looks of the iPhone, but still lack heart and soul of the iPhone. But looking at the general picture of mobile phone market across the world in which great deals of general publics having jumped on the bandwagon for Hiphone, I really don't buy the above story that Hiphone can not pit against the iPhone. As a matter of fact, to date the fashionable Hiphone, like the Bluetooth Hiphone Phone, has gained immense popularity as best seller Consumer Electronics. For all we know, the excitement that was generated when the original HiPhone i32 came out seems like an incredibly long time ago, although it really wasn't. It seems long in terms of time because so much has been improved with the iPhone clones between now and then. Still, the original HiPhone i32 was really innovative for it's time. It was one of the first clones to introduce the "shake and tilt" feature (where you can advance the phone by shaking it.) And, it was one of the first that had a decent finger touch interface. It allowed you to scroll through the phone and edit photos using only your fingers. There were some grumblings about the original i32. It was only tri band. It was a bit fat and bulky. And, it could only accommodate 2GB of memory. This 3rd generation model had rounded edges so it looks more like the iPhone and the housing is more slick. But nowadays Java has also been added so that you can add a lot more games, applications, and downloads, including Word and PowerPoint. Additionally, this third generation model can now hold up to 16GB of memory. The clone has been waiting for this capability for a long time. And, this one isn't so big and heavy. It's 11.5 X 6 X 1.2 centimeters. It still has the one button at the bottom and the minimalist fat touch screen, but it's a more stream lined phone. The old phone was only a tri band. This new one includes all 4 bands. Furthermore, the new fashionable Hiphone can be used with any GSM sim card, including those that are prepaid. Common networks that this fashionable Hiphone is used with is T Mobile, Fido, Rogers, and AT&T. It now includes the ability to flip the screens on the phone like turning the pages of a book. Well, time has changed, so has Hiphone. The fashionable Hiphone of today beyond doubt has achieved great breakthrough for the sake of consumers' increasingly demanding requirements. 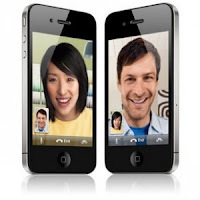 Seeing is believing and seeing Hiphone is believing it is emanating iPhone and all the more experiencing Hiphone is relishing iPhone.